Saint John Paul II National Shrine Ornament | Washington, D.C. 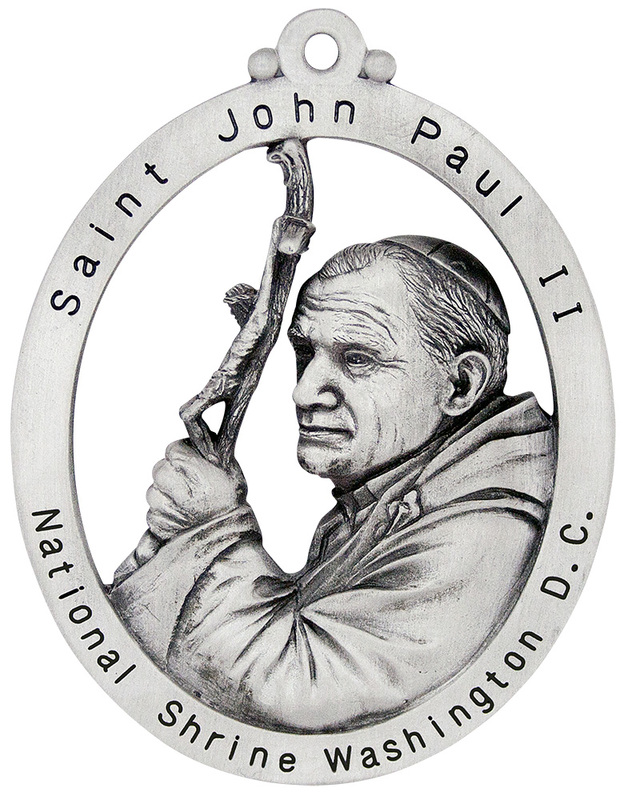 The Saint John Paul II National Shrine in Washington, D.C. commissioned Hampshire Pewter to create this beautifully detailed ornament. Check out the zoom feature to see the details up close. Notice the detail in shepherd's shaft that includes an image of the Lord Jesus on the Crucifixion.